Located in the heart of the « Portes-du-Soleil » skiing area, at 1650m, between Morgins and Les Crosets, this little village, built in the traditional style of the Val d’Illiez, will charm you with it’s authentic and peaceful surrounding. its location guarantees plenty of sunshine and memorable views of the Dents-du-Midi mountains. 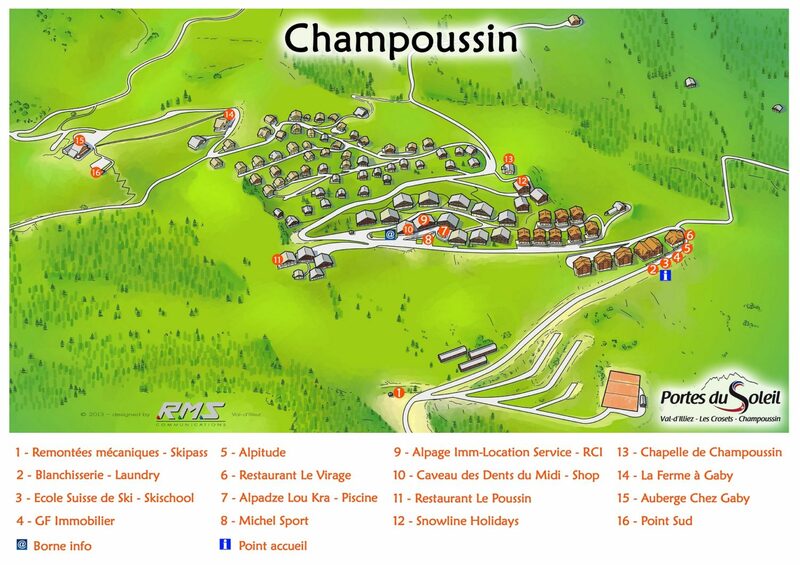 The village includes : 4 restaurants (Chez Gaby, Le Poussin, Le Caveau and Amici), 1 hotel with a swimming pool-wellness Champoussin Lodge , 2 sports shops (Michel Sports and Alpitude), the swiss ski school, 1 cheese factory (La Ferme à Gaby) and 1 grocery. 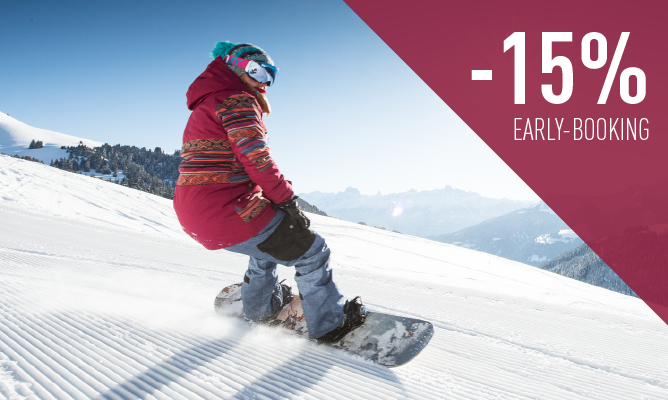 The Portes du Soleil has been one of the biggest players in world skiing for the last 40 years, with 12 linked resorts either side of the French-Swiss border just an hour and half from Geneva. This genuine Natural Powder Reserve at the heart of the Alps offers skiers unspoilt surroundings, mountain lifts that keep a low profile amid snowbound forests, pistes that wind their way through snow meadows, spruces and mountain chalets that have stood the test of time. During summer the Portes du Soleil offers almost unlimited options for bikers and walkers. 650 km of cycle tracks and 800 km of walking paths. Fill your lungs with fresh mountain air in a magical setting brimming with untouched natural terrain ! In addition to the excursions, the estival activities do not miss in the area of the Valley : Adventure Parks, paragliding, visits of farms, thermal baths, sports centers and wellness,… will charm all of you !